Completed Universities: the Władysław Strzemiński Academy of Fine Arts in Łódź, BA studies at the Faculty of Clothing Design. Current work: Chief Designer at Simple CP. Holder of scholarship of the Minister of Culture and National Heritage for lifetime artistic achievement. More than 10 years of professional experience in the clothing industry. Great challenges are part of her nature. She started her professional career at the international Orsay brand as a designer, and then she worked for 6 years as Head Designer in the international team co-creating collections for over 600 shops in Europe. 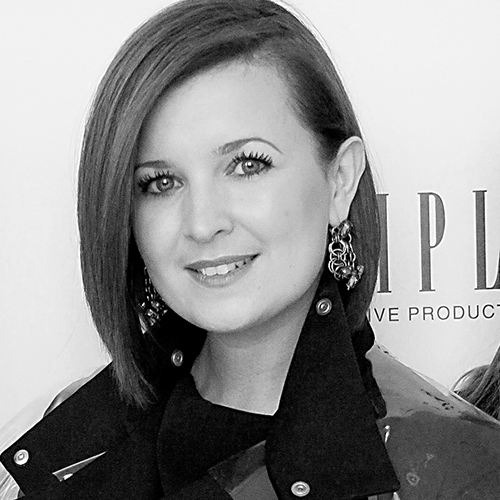 Currently she manages the design team at one of the largest and most recognizable clothing brands in Poland – Simple CP, holding the position of the brand Art Director and designing contemporary and exclusive collections for Simple CP. She has always desired to dress “real” people. According to Weronika, the measure of a designer’s success is not only their artistic recognition, but most of all the commercial success of the brand. Weronika Pietras believes that world is run by the customers, not designers. Therefore, she created her collections out of respect for the customers and their needs. The designer’s task is to manipulate skilfully and find equilibrium between what is desired by the customer and what is aesthetically proper according to the designer. She was a part of the jury team in one of the episodes of the Polish edition of “Project Runway”.